The perfect pair of jeans can vary from person to person, but everyone can agree on the elements that work for them. 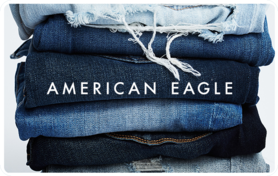 Find what perfect pair or two with your free $50 American Eagle eGift Card. Whether you’re going for a slim fit or something more relaxed, a pair of quality denim jeans can go from day to night, with any combination of tops and shoes for a look that’s undeniably yours. When it comes to jeans, American Eagle Outfitters believes in personal style. Founded in 1977 and headquartered in Pittsburgh, American Eagle carries a wide range of jeans for men and women, from skinny fits to loose-fitting “Dad Jeans.” Not only that, they also have a range of fashionable tops and bottoms, plus shoes, accessories, and swimwear. And they’re also the home of the popular Aerie lingerie range for young women, which features comfortable undies and loungewear for women. Enjoy the freedom of choice in fashion. 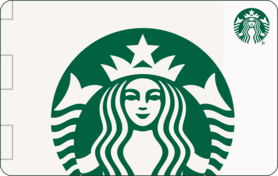 Use your $50 American Eagle gift card at ae.com and aerie.com, or in-store at any American Eagle branch in the United States.